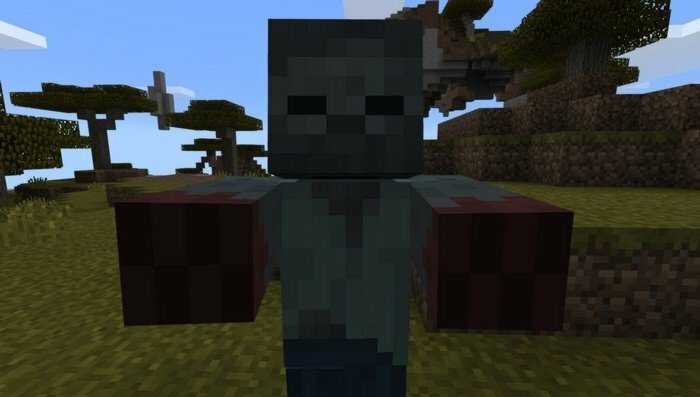 This addon upgrades regular zombies and makes them one the most dangerous enemies. Their movements will be much more faster and if they reach you and hit - you will be poisoned. Don't try to run unless you have a safe zone near by, because they won't stop chasing you - they will hunt animals as well. 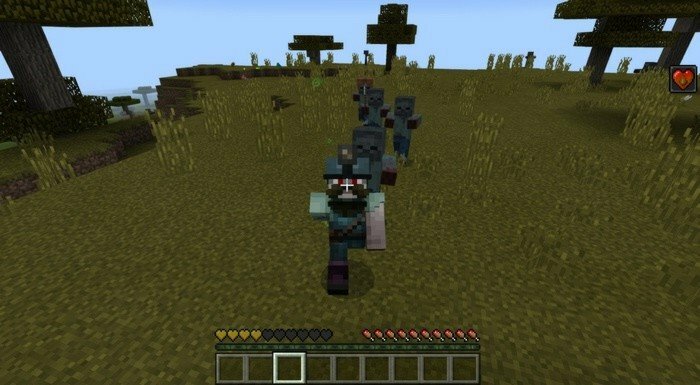 Spawn rate will be increased and they will not burn on the sun - a real zombie invasion in Minecraft PE. 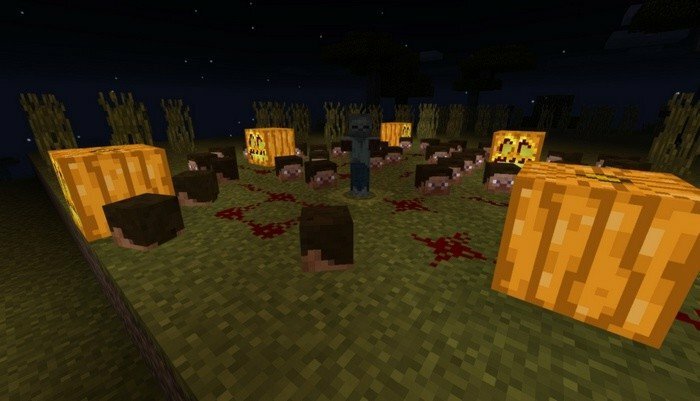 Your only chance to survive - is to kill them one by one or you will find yourself running from the horde of zombies.